Patriot International Insurance provides comprehensive travel medical coverage for American Citizens visiting outside of the US. 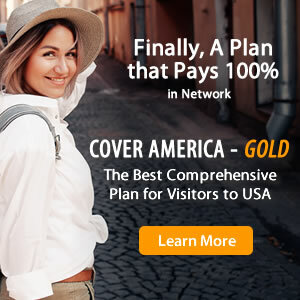 This comprehensive plan pays 100% up to the policy maximum outside of the US and Canada, and 90% of the first $5,000, then 100% after that inside of the US and Canada. Travel medical protection offered by Patriot International includes outpatient treatment, emergency services, emergency medical evacuation, and more. Patriot International Insurance covers trips between 5 and 365 days and can be renewed up to a total of 2 years. Patriot International Insurance is best suited for US citizens and their families traveling internationally. How to Buy Patriot International Insurance? Got sick in Europe and had to see ER. I paid for my bill but was reimbursed by the coverage provided. The staff are friendly and knowledgeable. Only reason I didn't give it 5 stars is because it took a bit more time than I anticipated for the claim to be processed and completed. Customer service is very pleasant to deal with.